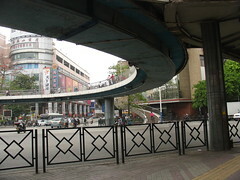 Appointment was made​​: the day we meet at the subway station 长寿 路 (Chang Shou lu) towards the busy shopping street 上下九 (shàng xià jiǔ) atabler for us to ‘the best thing that prepares special all Canton ‘, dixit Daisy. A greasy spoon outside, super nice by touffeurs Cantonese May through the fan and other covers subtly suspended. At the corner of the street, between two rows of old houses, the kind of place that if you do not know, do not you think. The card is very simple: 3 courses, including the famous special trick. Let’s go for 3! We wait our plastic stools. During this time, Daisy explains the history of the place. 50 years they would be there, and still re-named for ‘something special’. I also want to take a look at the tables around. Nothing really identifiable. In any case not something that looks like dog tails for example, so with a card 3 courses luck whatsoever that. After spending four months at Fudan University so I decided to try my luck in the second half Jiaotong da xue (Jiaotong University). The main reason for this change? I think that puts too much Fudan forward (and mints) the reputation it has gained in other disciplines, to attract foreign students in Mandarin classes without providing working conditions and during the height this reputation and higher price we pay. While at Fudan was often little information, the dates are reported at the last moment Jiaotong we know all the important dates in advance. While at Fudan must get a building to another (often 20 minutes walk from each other), Jiaotong every effort to foreigners are concentrated in a single building. Fudan premises are old and tiny (former dormitory foreigners as classrooms). A Jiaotong premises are modern and recently restored after the building in which it is located and the classrooms are a good size as well as being clean. While at Fudan was one book (albeit in 3 to 4 volumes per semester) for all courses, we Jiaotong 1 pound per yard (two volumes each): one for speech, one for listening , one for reading. While at Fudan books have 30 contexts with often inadequate and obsolete words, books on social themes Jiaotong recent (eg internet) and words used by the Chinese in the life of every day. More books are more fun and are equipped with CD inside books while Fudan only offers audio K7 we must ask more. Many teachers Fudan are older and less outward. All my teachers Jiaotong have 25 to 30 years, they are very dynamic and the energy they bring to their courses can stay involved during the hour and a half of the course. A teacher told me during the ceremony that teachers Jiaotong are also noted and that part-time faculty do not see their contracts renewed if their rating is good. It follows from the factors I just mentioned. I really feel like learning to best Jiaotong Fudan because the approach seems more teaching through books used. 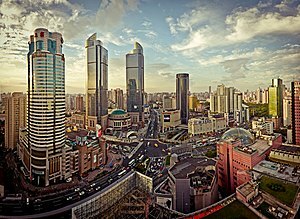 The Jiaotong University also has advantages in terms of location on the fringes of the city center while Fudan Xujiahui is really far from everything. Both schools have a good reputation, that of Fudan tends to fall, it Jiaotong tends to rise, but Fudan is undoubtedly the most famous. To say that studying at Fudan causes very positive feedback from Chinese. I am not unhappy with having spent the first half just so I can mention that degree on my resume. But I urge them to do the second half (and the following for those who want to study in depth) Jiaotong because ultimately what is most important is to really speak Chinese! Fudan currently the highest concentration of foreign students in Shanghai, but it is notable that many students choose to change language university in the second half (in my knowledge of Fudan only 1 in 5 students remained at Fudan and many of them did so for reasons of scholarship preventing it from changing university or question flème change of place …). 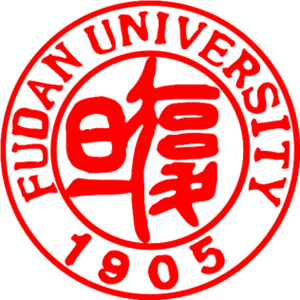 Fudan plays too much on its reputation as a prestigious university to attract foreigners by charging ADDITION more expensive than all other universities, without providing an educational service to the height of the price paid. Already affecting their ability to retain students and it is likely that this term also affects the flow of new students if they do not modernize their offerings. Friday morning, in this week of vacation, we went with my girlfriend Gongqing Sengling Gong Yuan Shanghai, forest park located northwest of Shanghai by Fudan. or take the tourist bus number 8 from Shanghai Stadium / Xujiahui to the park entrance. either take the subway line 3 to Jiangwan Town (the station near the dorm Fudan) and take a taxi which will cost you about 25 RMB to the entrance of the park. The entrance to the park cost us 12 RMB per person (it’s cheaper for children). The mass of greenery and nature is striking and it is a pleasure to find this green lung in Shanghai. There are a lot of people because of the “Golden Week” (holiday week) but the place is friendly and practical. First goal: eat before the barbecue are all under attack. We therefore follow the signs and arrive about 10 minutes from the entrance to a rope bridge and board with access costs 1 RMB per person. We cross the counter and decide to rent a mini shelter (4 seats) + BBQ 45 RMB. It is also possible to just buy a barbecue for 15 RMB at the same place and find a corner in an enclosure reserved for this purpose but because the world and the pile of garbage produced by all these people gave ca not want. Arriving at the shelter # 13, it is squatted by the occupants of the enclosure 14, I use my Chinese diplomat to make them understand that we would like to integrate the shelter we have to pay. No pitfalls, they get up and leave us up while leaving a pile of garbage. I therefore ask the janitor who passed us rehabilitate the place what he does with speed and efficiency unmatched. We congratulate him and give him 10 kwai for services rendered (I am not tip in China but when you see so much good will it gives desire to encourage). The ignition will fire with a group of Chinese neighbors who give us fire and we recommend waiting 20 minutes to start cooking. I take this opportunity to concoct beef skewers Qingdao (crossing Charolais beef and Chinese) and we go to cook lamb kebabs “little sheep” that my girlfriend had bought. A super friendly meal that really changes the atmosphere. I already found some bus XuJiaHui or deposited in front of the entrance of Jiaotong University HuaShan Lu but we must recognize that it does is not very practical because the International building is located on the other side of campus near output Panyu Lu (also called by the taxi Fanyu Lu). So the last two weeks I went mainly to university Taxi that my door at 655 Panyu read took 15-18 RMB taxi. 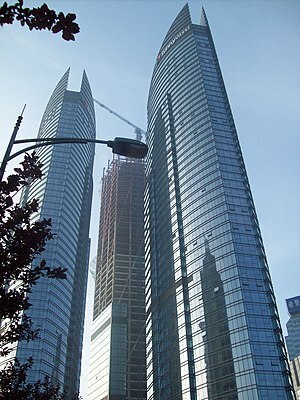 And earlier this week one tongxue French (who lives in addition to 50m from my house) I discovered that the 76 bus drops us miraculously 50m from the entrance to the Panyu Lu Crown Plaza and the can be taken to return to the entrance of 30m Jiaotong Panyu Lu and drop us an 8-minute walk from my house between the City Plaza Jing An Temple (Freshmart / metro line 2), and Jing An Plaza (Too Windows). Following a route that the bus has air conditioning or not cost us 1-2 RMB!